The Early Childhood Art Program! — Go Get Your Smock! 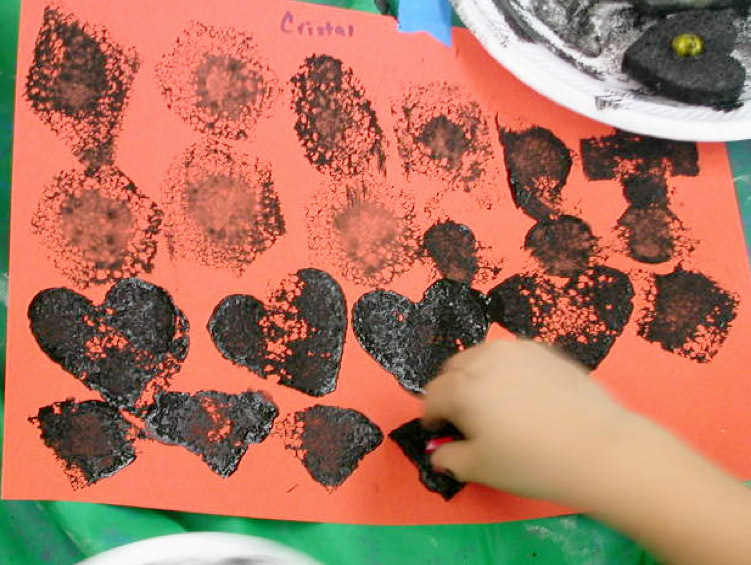 provides quality experiential learning opportunities for young children through carefully selected art media, so that they can explore their world through creative expression. Our open-ended projects have no pre-determined outcome, and each in a unique learning experience and a unique articulation of the child's view of the world. Each art experience includes carefully selected and prepared materials and a specific method of presentation so that young artists have the greatest chance for success. This" control of error" includes ideas like providing only to primary colors of paint at one time, so that we get a pleasing secondary color -- and not brown! Experiences throughout the year are carefully sequenced so that children have the opportunity to build skills through cumulative learning. A GGYS instructor visits your classroom once weekly, bringing all tools and materials. Students, teacher and GGYS instructor meet at the gathering area for a short lesson that introduces the day's concepts and media. Children then move to work spaces, participating in the set up of the project as appropriate. Young artists work with the materials according to their own ideas, with as little interruption as possible. Creative decisions are made by the children , and not by the adults in the room. As the lesson ends, the young artists assist in the clean-up of their materials, their workspace an themselves. All but a few of our lessons are presented with the help of illustrated children's books. We use these carefully selected books with our children for many reasons. First we establish the important link between visual arts and language arts. In fiction, pictures and words work together to tell a more complete story. In non-fiction, pictures serves as non-verbal explanations and illustrations of subject matter. Motivated children can use even the simplest picture book for self-directed learning. Secondly, illustrated books provide examples of the art terms and concepts we include in our lessons, and as a collection of visual ideas for future artwork. When we analyze how an artist created a certain illustration, we recognize all artists make creative choices. We plant the seeds of a lifelong appreciation of visual arts. And finally, when a child becomes an informed observer of information on the page, they are building important pre-reading skills. This ability to sort visual information soon translates into letter and word recognition. With practice, they begin to interpret pictures and words, and create meaning an understanding. Click here to download the 2013-2104 brochure for our Early Childhood Program!